Well I’ve settled on a name for the book.. For now. “Draw Occupy Wall Street”. I’ve been working hard on this book since I got back from New York City in late November 2011. Almost none stop. The rough draft of the book is sitting fat at 120 pages! Wow. Thats a real book, but what else did you expect from Boulet? I love you. 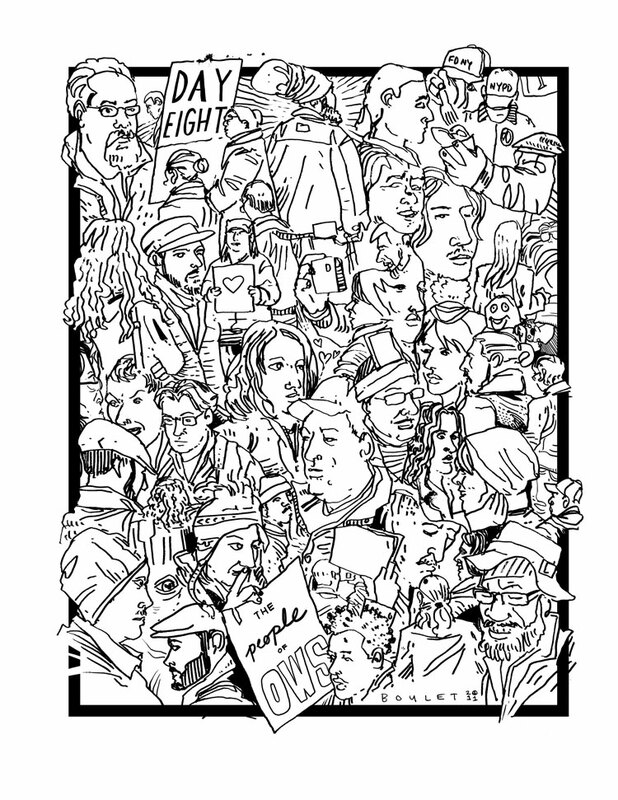 Joshua Boulet’s renderings of Occupy Wall Street follow a long tradition of art coming from financial and economic chaos and frustration. He captures the moments faithfully and I hope to be among the first purchasers of his book. The book is finally here!! Black ink, photo copies, and Publishers- OH MY!